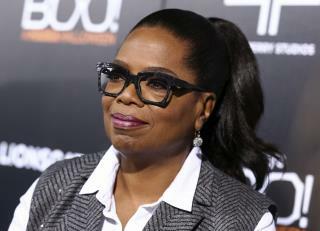 (Newser) – Oprah Winfrey has declared 2017 her "Year of Adventure," and as part of that year, she decided to take her first cruise and invite 2,000 of her biggest fans along for the ride. Allison Davis and her mom were two of those people, and Davis entertainingly chronicles the "Oprah cruise" to Alaska for The Cut—though one wonders whether Oprah can really say she's taken a cruise considering, as Davis reveals in her piece, the talk show guru was only on the boat for one day and one night, during which everyone could attend her talk (attendees found out, among other things, that Oprah loves to drink and that she recently discovered Auntie Anne's pretzels) and lucky cruisers who were able to score tickets could have dinner with her or meet her for a photo op. Davis and her mom did the latter, though Davis finds herself unable to say anything to Oprah beyond "guh." I W0ULDN'T WASTE MY TIME. Please god let her run for President! Watching all her dirt get dug up will be glorious!